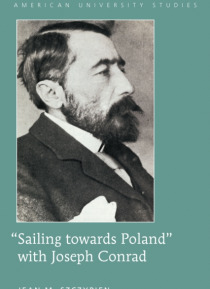 Joseph Conrad ingeniously buried images from Polish literature and culture into his works. Once recognized, these references alter the accepted meanings of the texts. In an interview that was published in Kuryer Polski (in the then Polish city of Ostrawa, now in the Czech Republic) on 26 August 1915, Conrad himself declared about the nineteenth-century Polish poets: "e;Krasinski, Mickiewicz an… d Slowacki. Their words are everything for me. I was raised and formed by them. "e; Yet, the Polish sources deeply rooted in Conrad's works have been scantily acknowledged and hardly explored, although notable intertextual theorists have argued that the ultimate understanding of the text comes from the intertext(s).The first part of this book analyzes Conrad's first novel, Almayer's Folly, and four of his greatest works: Lord Jim, Nostromo, The Secret Agent and Under Western Eyes. Unearthing the cache of Polish references in these works enhances our intellectual and aesthetic appreciation of Conrad as an artist par excellence. The signs recall literary and artistic works as well as aspects of social behavior, as Kristeva and Riffaterre explain. Bloom provides additional insight regarding the writer's struggle to supersede his predecessors.The second part of the book looks at two autobiographical works: A Personal Record and "e;A Familiar Preface. "e; With poetic eloquence, Conrad proclaims his victory over his tragic past in A Personal Record. A tone of gaiety rises stubbornly in the midst of complete awareness of sorrow. The tone of "e;A Familiar Preface"e; is also unmistakably triumphant. More than joyous, the merriment in these self-portraits celebrates many worldly achievements, but ultimately one great triumph. In his writings the English author has transcended bitter adversities by transfiguring dreadful facts into the perfection and permanence of art.